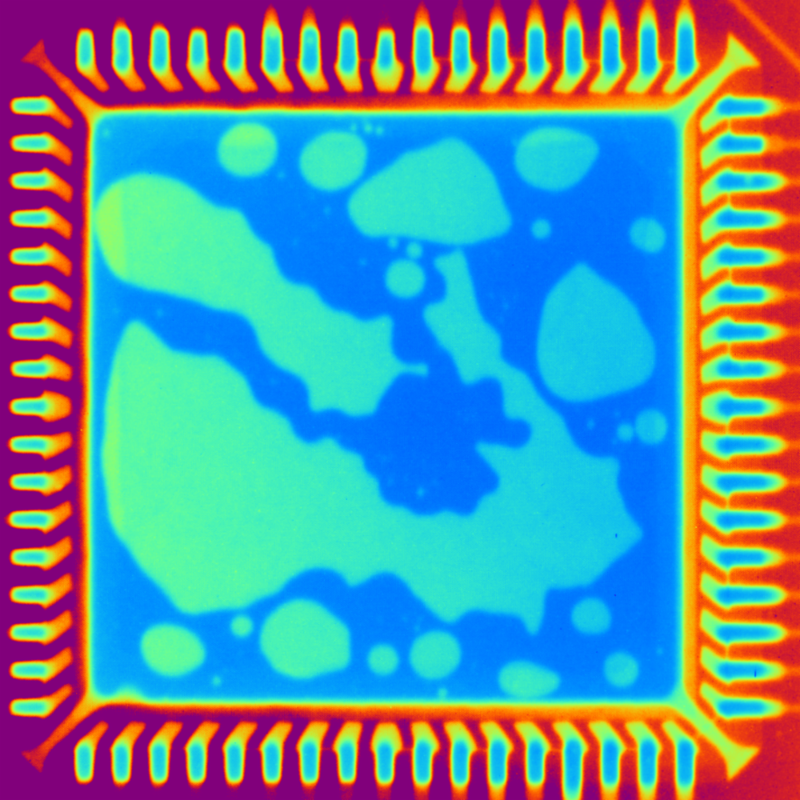 Stencil Design Changes: An unintended consequence of increasing solder paste volume for 0201 and 01005 components is the possibility of component float, skew, and tombstoning. This has led to stencil design changes to reduce the solder paste volume specifically for those component types. Use of anti-tombstoning solder paste also helps with these issues. Solder Usage for High-Reliability: Manufacturing of electronics used in harsh environments is on the rise, especially in the automotive and telecom sectors. This has increased the use of high-reliability solder alloys and fluxes. Maintaining low cost and high production throughput are important in automotive and telecom industries which have led to increased usage of no clean soldering products. The key factors to consider for harsh environments electronics are solder alloys which will survive the conditions without fracturing, and fluxes which will not cause corrosion or dendritic growth over the life of the product. New high reliability solder alloys have been developed w hich are typically low silver SAC alloys with added dopants. These solder alloys have been shown to increase the life of the solder joint in harsh environments where they are used. New solder pastes and liquid fluxes have been formulated with zero halogens and low activity (ROL0 classification). The new liquid fluxes have been formulated with selective soldering in mind, where the risk of leaving raw flux on the circuit board is high. These new fluxes are safe to leave on the circuit board in harsh environments. The Rise of PoP and BGA Applications: Package on package (PoP) and fine pitch micro BGA applications are becoming more common. Type 5 and 6 solder pastes are being used for these ultra-fine feature applications. 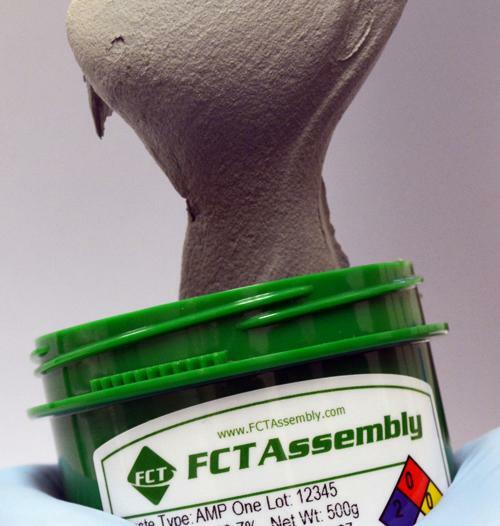 Formulating printable solder pastes for use with Type 5 and 6 solder powder can be a challenge. Type 5 and 6 solder pastes tend to have shorter stencil life and shelf life than Type 3 and 4 solder pastes. This can affect the printability and reflow characteristics of the solder pastes over time. Jet printing is being used for these types of applications for prototyping. The Rise of BTC and BGA Component: The usage of bottom terminated components (BTCs) and large BGA components are on the rise. Consequently, voiding and head on pillow (HiP) have become more prominent issues. Voiding can often be reduced through the use of ultra-low voiding solder pastes like Amp One coupled with a modification of the reflow profile and stencil design. Head on pillow is typically caused by warpage of the large BGA type components which is sufficient to physically separate the BGA spheres from the solder paste deposits. Modification of the reflow profile can help to reduce warpage. 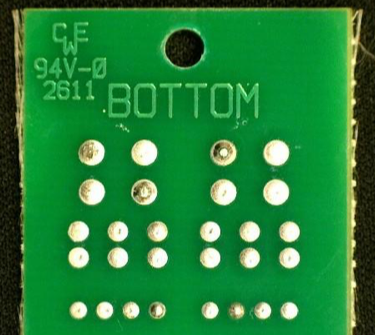 Step stencils are often employed to increase the solder paste height in order to maximize contact of the solder paste with the BGA spheres. 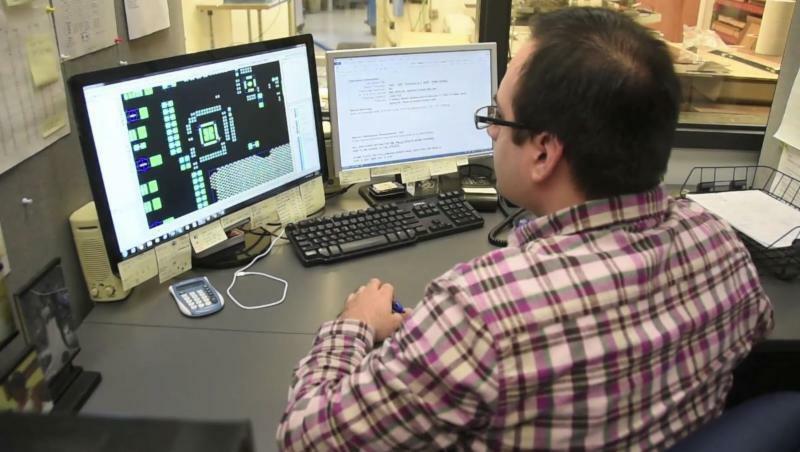 BlueRing Stencils and FCT Solder work closely together in the assembly industry to provide comprehensive solutions for SMT engineers. We leverage our relationship to research, develop and test our products in real word applications to discover the latest yield improvements and optimal print parameters.